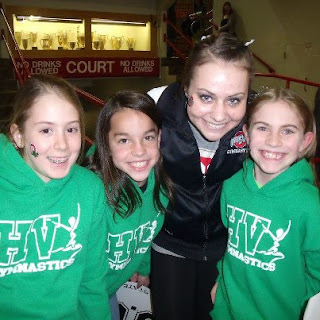 Hocking Valley Team members were at the Ohio State University Girls Meet and got to see their favorite gymnast Micaela Cologie, previous Hocking Valley Gymnast!! Miguel Pineda, previous Hocking Valley Gymnastics Team Member, current HVGC Coach, submitted his Ninja Warrior Video application!!!! Check it out! !